What do you think of Berlin Buzzwords 2012? 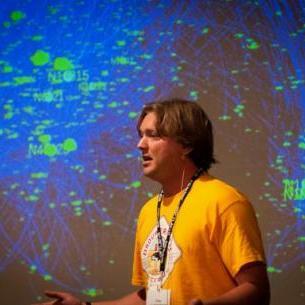 Check out this very interesting interview with David Weinberger on Big Data & Science. David Weinberger is the author of the book "Too big to know" and as well known as the co-author of the Cluetrain Manifesto. This year, we had more than 600 international attendees and over 50 speaker (out of more than 120 submissions). As well we had the biggest support ever from our Sponsors and would like to say thank you to all of you again! We raised the numbers of speakers this year to make sure that we would get even more interesting talks in. To do so, we introduced a new talk format: the 20 minutes talk. So far, we got quite good feedback on this innovation and we probably will have a similar format next year again. Talking about next year: we are already thinking of how to further refine Berlin Buzzwords in the future. Should we grow it bigger and reach out to more attendees in 2013? Do we want to incorporate a new track (at the moment, we are discussing the importance of data visualisation as well as big data used in science etc.) And we're still wondering how to get more women to Buzzwords – as speaker as well as attendees. Your thoughts and comments about all this are very welcome! It would be great if you could share them in our wiki - we will try to incorporate that into next years Berlin Buzzwords. If you would like to go back to the talks you missed while sitting in another session (or having a kicker match) you can watch the recorded talks of all tracks here. As well, you can download the slides of the given talks – browse through the sessions here. 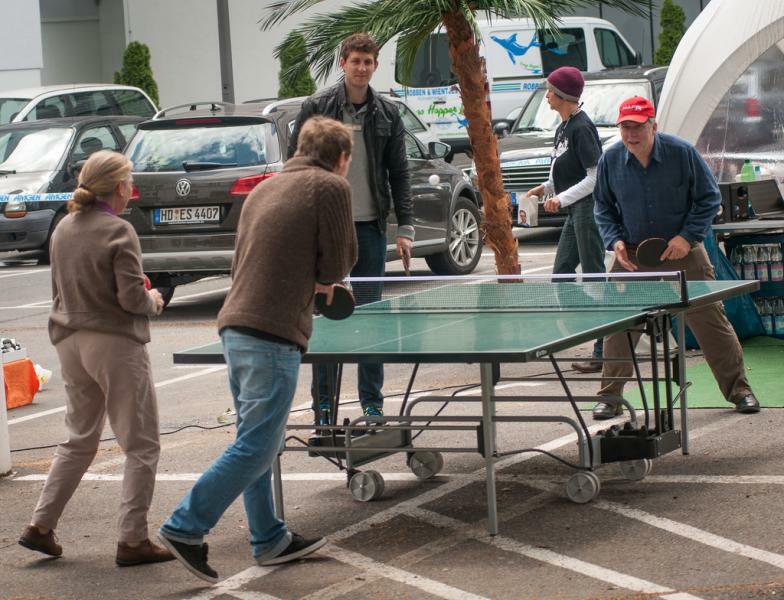 And of course, there are many photos of this years Berlin Buzzwords. It was great to have all of you at Berlin Buzzwords and we are looking forward to seeing you again next year! We just put our recorded keynotes online! 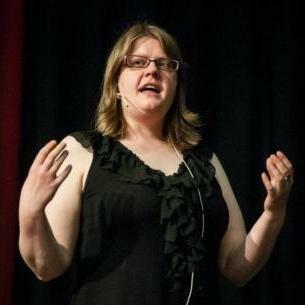 So please check out the talks of Leslie Hawthorn and Alex Lloyd. And stay tuned, since the other recordings will follow soon! We will put a link to each session that directs you to the video of the talk. Simply go to the Sessions menue and browse through to find the videos. There you will find a link to the slides of each talk as well. How to get to Berlin Buzzwords Venue "Urania"
Please find more information about our venue HERE. If you travel to Berlin from Germany, check out our €99,-Deal with Deutsche Bahn. With less than a week to go before Berlin Buzzwords takes place we are excited about all the workshops, talks, hackathons and the Berlin Buzzwords BarCamp. On the conference days (4th/5th of June) Urania (An der Urania 17, 10787 Berlin) doors will open at 8:00 am and close at 6:30 pm. Please bring your ticket printed out and register at the accreditation desk. We can't scan tickets from smartphones, laptops, iPhones or iPads. At the accreditation desk, you will get your namebadge and lanyard which serves as your ticket. Please keep it until the end of the conference. After the last talk (finishing at 5:45 pm) there will be a welcome reception, sponsored by basho until 6:15 pm. At 7:00 pm our Buzzwords party/chillout will start at Picknick-Club. (Dorotheenstraße 90, 10117 Berlin) where everybody is welcome! And thanks to our Sponsor Soundcloud! There will be a bus shuttle to get to the Picknick-Club straight after the conference, leaving Urania at 6:30 pm and a 2nd time roughly 30 minutes later. Thanks to our bus shuttle Sponsor Wooga. We would like to thank our Gold Partners Nokia, Microsoft, Scout24. Also thanks to our Silver Partners basho, Datameer, Google, Groupon, inovex, neofonie, and sematext. Thanks to our Bronze Partners cloudera, Gameduell, Hypertable, SearchWorkings, Softlayer, and Soundcloud. Thanks to our Startup Partners 10gen, crealytics, Wooga, cloudControl and Neo Technology. Thanks to those getting our speakers travel support, namely Acunu, Adobe, Intrafind Lovely Systems and MapR. Also thanks for helping spread the word to our Media Partners dotnetpro, Golem, Javamagazin, O'Reilly, Open Source Press, Skills Matter, t3n, webDeveloper as well as to our event partners re:publica and Cassandra EU. 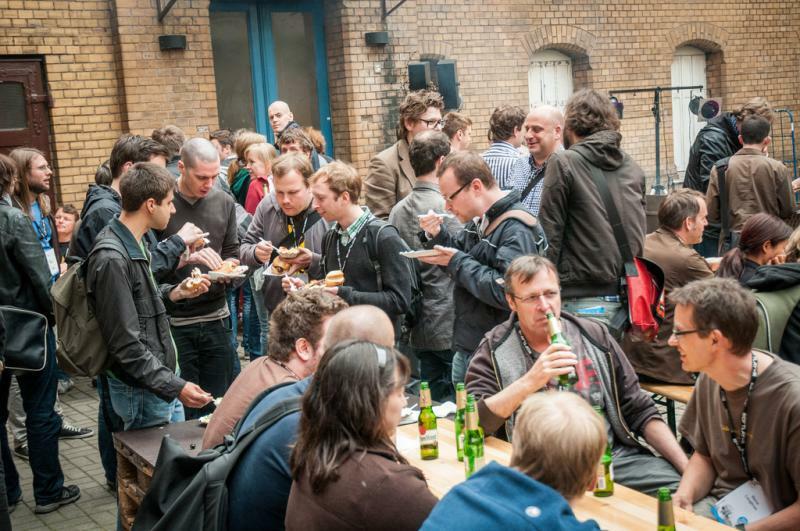 The Berlin Buzzwords BarCamp is back for our third year! Come along again for great discussions and knowledge sharing with your fellow attendees, on topics like Searching, Storing and Scaling. This time at a new venue in Berlin! In keeping with the main Berlin Buzzwords conference, we're going to be focusing on similar themes. The overriding theme of the evening is NoSQL, with a side order of Search. Especially talks and discussions on using NoSQL in new areas, NoSQL comparisons (e. g. which is the best project to different content problems? ), deploying NoSQL – case studies and war stories and also searching – Apache Lucene + SOLR tips and tricks. The BarCamp takes place on Sunday, June 3, 2012 at c-base from 5:00pm until 9:30pm (registration starts at 4:30pm). Berlin Buzzwords BarCamp is sponsored by 10gen and Alfresco! 10gen develops and supports MongoDB, the open source, high-performance, document oriented database. 10gen helps support the MongoDB open source community along with the growing number of companies and projects that have been built on or have integrated with MongoDB. Alfresco was founded in 2005 by John Newton and is the leading open source alternative for enterprise content management (ECM). It couples the innovation of open source with the stability of a true enterprise-class platform. Check out the BarCamp wiki page for more information and to sign up! BarCamps are a kind of "un-conference", where the schedule isn't decided until the day, and is based on those who attend. Everyone is welcome and everyone can participate in a variety of ways. As an internet pioneer from the first hour and leading business group of online marketplaces in Europe, Scout24 represents sustained economic success for over 10 years. The seven marketplaces of the Scout24 Group - ImmobilienScout24, AutoScout24, FriendScout24, FinanceScout24, JobScout24, TravelScout24 und ElectronicScout24 - are present in 18 countries. The Scout24-marketplaces have been search specialists since 1999. Since we are passionate supporters of innovative people and concepts we are very happy to be this year's gold-sponsor of the BerlinBuzzwords. "Search, store and scale" - we use Open Source Software in different areas of our software. Our companies are based in Berlin and Munich and we are happy to ensure our 1100 employees the access to "high-quality conferences, know-how sharing, networking and interaction with creative minds" to design better products for our customers. 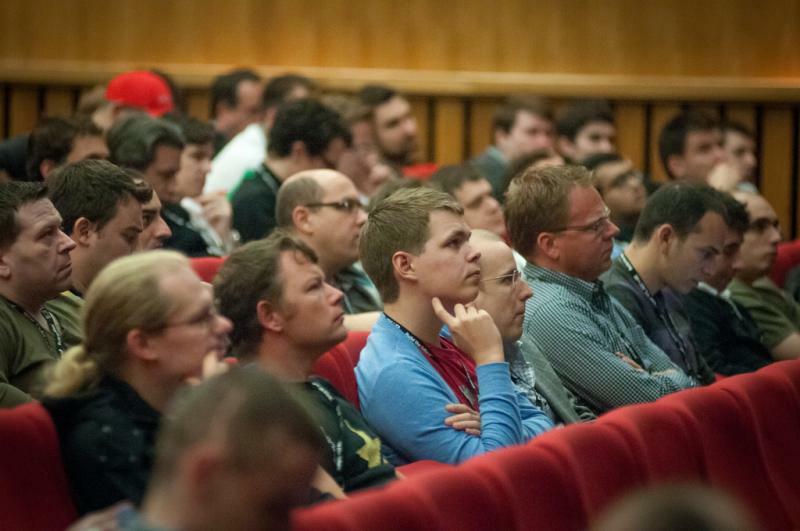 The BerlinBuzzwords is one of those HQ-Conferences and we are looking forward to meet hundreds of like-minded. The organisation of individual branch specialists within the business group is decentralised. All company divisions operate as legally independent companies. Scout24 Holding GmbH oversees the strategic running of the Group and supports marketplaces with the brand management, financing and development of its operating businesses. Around 8 million internet users per month trust the offers of the Scout24 Group, which is part of the Deutsche Telekom concern. 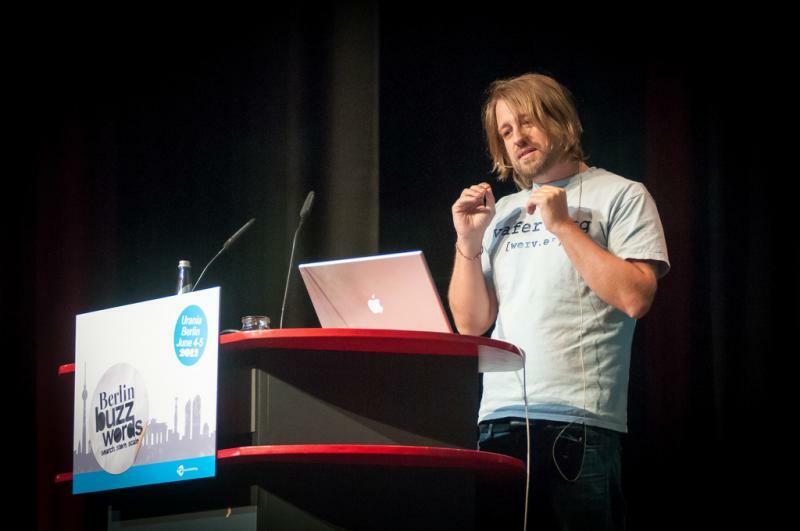 Berlin Buzzwords 2012 and additional events are waiting for you! Some weeks ago the official Berlin Buzzwords schedule was published: The conference will kick off with a keynote by Leslie Hawthorn on Monday, June 4th. Official talks are scheduled for both, Monday and Tuesday. However as with previous years it’s advisable to plan some extra time for arriving earlier and leaving later. This is to introduce any additional and complimentary meetups and events that will happen around Berlin Buzzwords this year. We are planning to have some initial meetups during the weekend before the main conference - right now we are still waiting for official confirmation from all organisers. However we do have the Barcamp confirmed already: Nick Burch is going to again moderate this famous Buzzwords early arrivals institution. This year we are located at c-base Berlin. Register now to reserve a spot at c-base. Monday and Tuesday are reserved for the main conference sessions. On Monday evening there will be an evening for everyone who owns a Berlin Buzzwords badge. We will arrange for busses to get you to the event location. During Wednesday, Thursday and Friday there will be meetups/ workshops/ hackathons for you to learn more on Apache HBase, Data Science, parallel processing other than map reduce and more. Stay tuned for the full list. If you have an idea yourself or would like to promote your local Berlin tech meetup talk to us to get your meetup included in the list. Please note that for each meetup space is limited, as a result please make sure that you are registered as participant to avoid standing in front of closed doors. In parallel to the meetups there will be a few trainings provided by vendors from the search, store and scalability space. Please note that trainings are not included in the Berlin Buzzwords ticket and must be purchased separately. So make sure to arrive early and leave late to get the full Berlin Buzzwords experience. 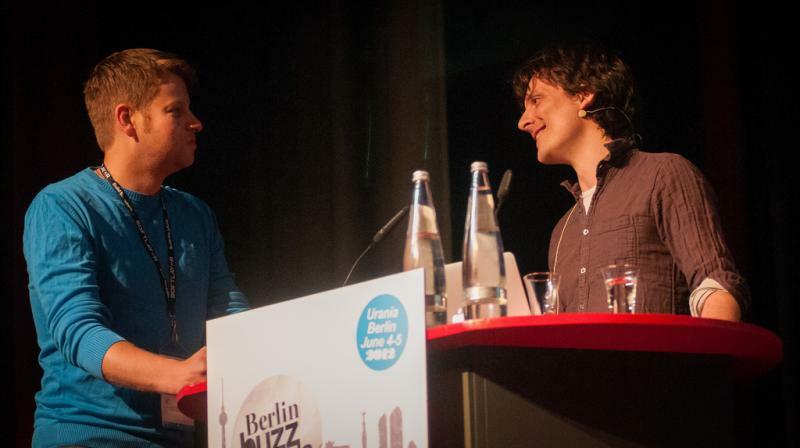 Looking forward to meeting you in June, The Berlin Buzzwords Team.